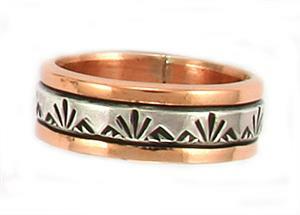 This mens or ladies band ring is made out of heavy copper with stamped sterling silver down the center. 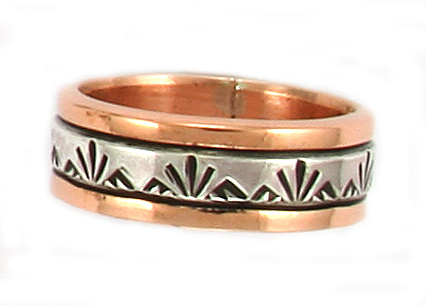 It measures approximately 5/16" wide. Made by Navajo artisan Wylie Secatero. Stamping will vary. Choose sizes when ordering. Available in size 7 1/2 thru 13 1/2.